It can be tricky to tell the difference between a physical change and a chemical change. Yet physical changes are all around, just waiting for you to notice them! You can be certain what you observe is a physical change if the change does not alter the object's chemical structure. Physical changes are merely alterations in physical properties like texture, color, odor, weight, density or shape. Physical changes affect a substance's physical properties but do not alter its chemical structure. Types of physical changes include boiling, clouding, dissolution, freezing, freeze-drying, frost, liquefaction, melting, smoke and vaporization. Boiling uses heat to change a liquid to a gas. This occurs when the liquid reaches the temperature at which the vapor pressure equals the pressure of the gas above the liquid. 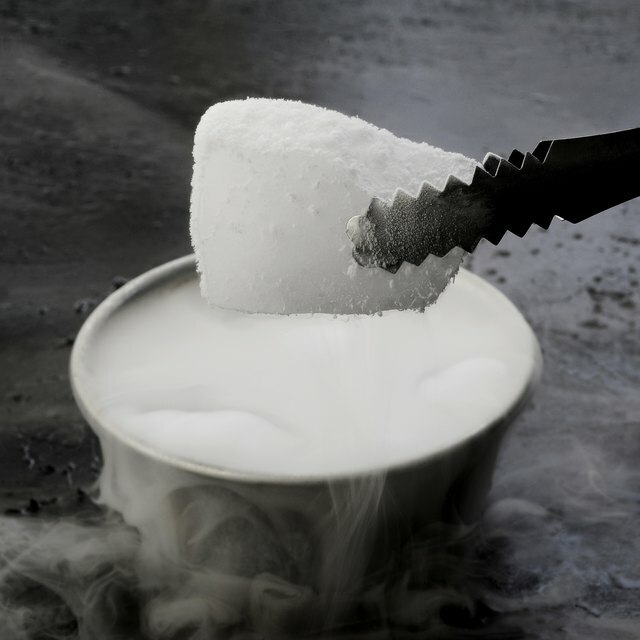 At this temperature, or boiling point, the vapor bubbles up from the liquid. Clouding occurs when a substance condenses from a gaseous state to a liquid state. Of course, one example of this change is actual cloud formation where water vapor in the sky condenses into water droplets. Dissolution, or dissolving, is the process of a solid or liquid forming a solution in a solvent. Pouring sugar into a hot cup of coffee is an everyday example of dissolution. Freezing, or solidification, is the withdrawal of heat from a substance to change that substance from a liquid to a solid. The temperature must be below the substance's freezing point for the change to occur. Turning water into ice using a freezer is an example of this physical change. Frost, or icing, occurs when the surface of a solid cools below the freezing point of water and below the dew point of adjacent air. You can observe frost on window panes and blades of grass in the winter. Liquefaction is the process of converting a gas or solid into a liquid through condensation, melting or heating. Liquefaction is the change that occurs in the ground, causing it to move in waves. Melting, also called fusion or thawing, occurs when heat or pressure increases the internal heat of a solid to the melting point, resulting in the solid changing into a liquid. Ice left out on the counter turning into a puddle is an example of this physical change. Smoke is a hot vapor containing liquid particles, gases and carbonaceous matter from the air. Smoke occurs as the result of a combusted material mixing with the air. Smoke is also a by-product of fires. Vaporization is a physical change in which a liquid or solid becomes a vapor or gas. The three different types of vaporization are boiling, evaporation and sublimation. Roberts, Calia. "10 Types of Physical Change." Sciencing, https://sciencing.com/10-types-physical-change-8455782.html. 11 May 2018.